All over the world, and especially in Nepal with its prolonged peace process, peace building requires public support for peace, and youth have a significant role to play. Peace and disarmament education is an essential instrument in promoting a culture of non-violence and conflict prevention in the minds of young people. 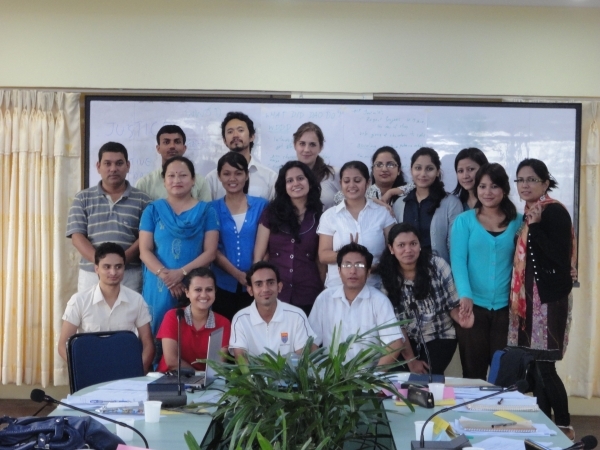 With this in mind, UNRCPD and its partners organised an outreach project in the Kathmandu Valley throughout autumn 2011. The scheme included educating volunteer youth trainers, conducting workshops at six public schools in Kathmandu, as well as organising short story and poetry contests. Carried out in collaboration with the Department of Conflict, Peace and Development Studies of Tribhuvan University and the Nepalese NGO DidiBahini, the project was also supported by the Bureau for Crisis Prevention and Recovery of the UNDP and United Nations Volunteers. The project succeeded to reach out more than 200 students and 14 youth volunteer trainers.